This past October the Groningen After the Crisis-team co-organized a conference at the Netherlands Institute in Athens about Roman Greece, together with the Groningen Institute of Archeology and the Ancient History Department at the University of Frankfurt. The conference was a big success, and the organisers decided to publish an edited volume based on the conference proceedings. 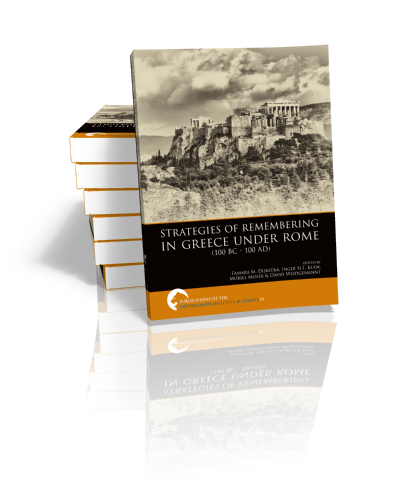 Strategies of Remembering in Greece Under Rome (100 BC-100 AD) is now available for pre-order from Sidestone Press. Order your copy here! Read more about the volume here.